Brown + Black = ? Hi guys! I’m writing this in my new house! eeek! I decided to plug in the computer after 5 long days of not having it—major withdrawals! We are painting the new studio this weekend. So for now I’ve set up a make shift desk on my coffee table, chair being the couch haha. I went a little crazy and did 5 paintings for today’s post. I guess that’s what happens after you haven’t created in a while. Onto the look, I love this circle scarf. It is beyond soft. I wore it in San Francisco this past Christmas, it was pretty cold so I wrapped around my face (see 1st image) My boyfriend’s dad thought it was the COOLEST thing haha. He was like everyone look what she did with the scarf! So cool! Let me take a picture! haha. I’m guessing it brought back memories of the 60’s era. Any ways, I’m going to do a house tour soon. I know people always want to wait until it’s “finished” but well frankly that never happens. Instead I’ll show you a work in progress. I love how you styled this outfit. 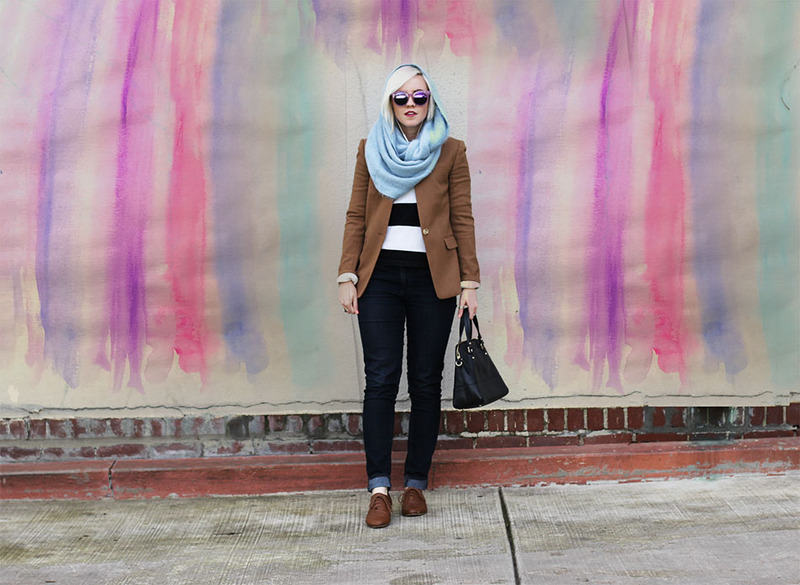 I would of never thought of pairing the brown blazer with the blue scarf. Beautiful! Amazing photos! Love the walls! 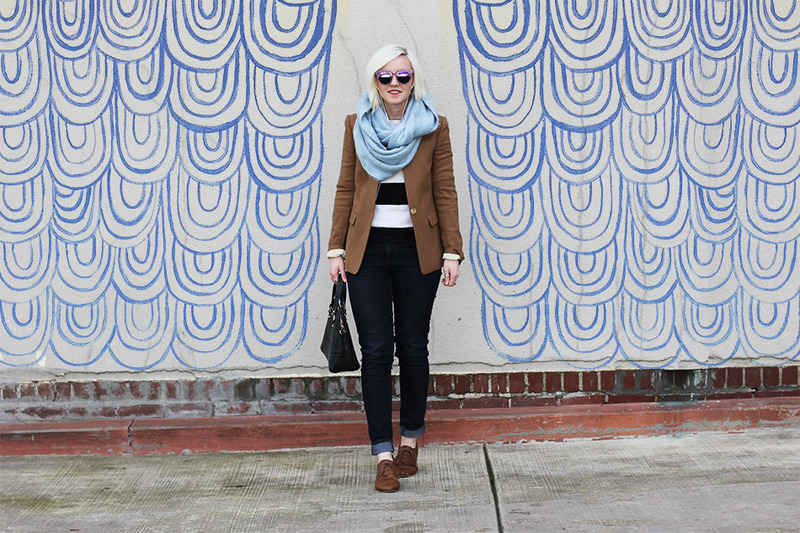 I love the blue scarf with your blazer!! Surprisingly I like the black + brown combo. I don’t mix the two that often but I may have to soon! Lovely outfit! The colour of your scarf is amazing. Love your camel jacket! 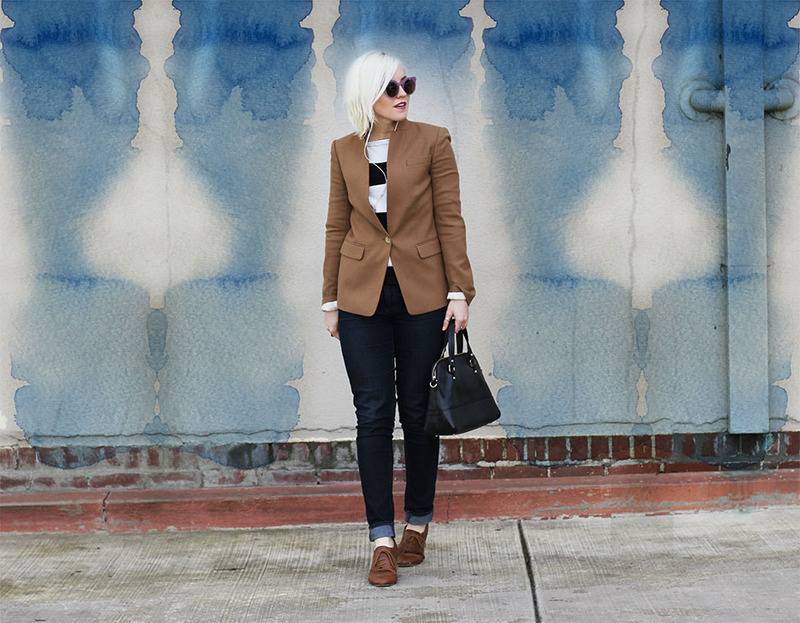 I love the jeans with a blazer look! you are so adorable, love this! Hi Haley! Found your page in the Facebook group, Norcal Content Creators! 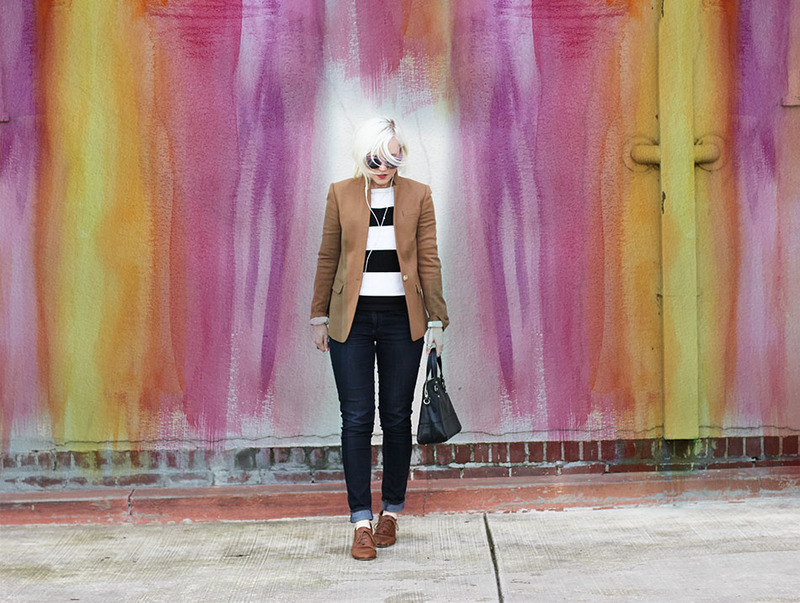 Really nice blog, I am loving the watercolor background you did with these photos! Love your Kate Spade bag! 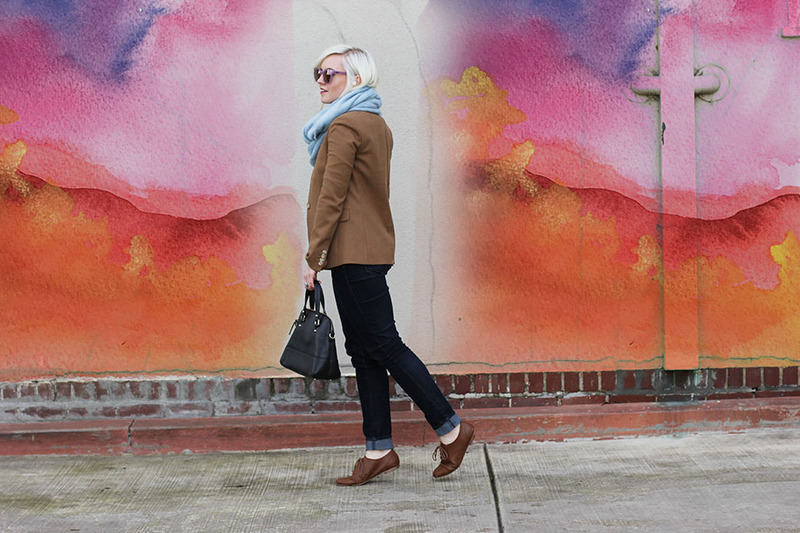 love these colors together, especially the blue scarf added as a pop of color. I’m learning to use more colors in my wardrobe and I love how it’s keeping with my comfort zone but still incorporating the color I need. Perfect post! Awesome Outfit , Loving It . Thais is really good and informative classic blog that aware us to have more ideas about the latest fashion.